Almudena Bernabeu, Associate Member of 9BRi and Co-founder of the IFDHR, has received the 2015 international Letelier-Moffitt Human Rights Award for her essential contribution in the successful prosecution of several of the worst Latin American perpetrators of crimes against humanity. From IFDHR we want to send our warm and sincere congratulations to Ms. Bernabeu for this well-deserved recognition. David Montgomery echoed the award, provided an accurate account of the gala and expounded Ms. Bernabeu’s inspiring trajectory in The Washington Post. At the Mayflower Renaissance Hotel, the National Hispanic Foundation for the Arts celebrated artists and media-makers for telling immigrant stories and making Latinos visible in the culture. Just a few blocks away, at the Carnegie Institution, the Institute for Policy Studies saluted the crusade to track and prosecute the war criminals whose barbarities in Central and South America helped drive the tide of immigrants to the United States — especially to Washington — in recent decades. “I’m a prosecutor at heart, I’m a judgmental person by birth,” she said before the awards ceremony attended by a few hundred people. “Perhaps that is why it is so important to me to expose” wrongdoers. Peering into her own soul, she identifies something that she speaks of almost as a character flaw — but not really. It’s just a clear-eyed view of the varying roles necessary in human rights work. There are the healers, and there are the hunters. Most recently, the work of Bernabeu and her colleagues at the justice center contributed to the deportation this year from Florida to El Salvador of Carlos Vides Casanova, a former defense minister implicated in “extrajudicial killing and torture” during the Salvadoran civil war of 1980-1992, according to U.S. Immigration and Customs Enforcement. In a separate case, a U.S. magistrate judge in North Carolina is deciding whether to extradite former Salvadoran commander Inocente Orlando Montano to Spain. There he would face prosecution for his alleged role in the 1989 murders in San Salvador of six Jesuit priests, their housekeeper and her daughter. In 2013, Bernabeu’s work led to the conviction in Guatemala of former Guatemalan leader Efraín Ríos Montt for his part in the slaughter of nearly 2,000 Ixil Mayans in the early 1980s. A higher court overturned the conviction on procedural grounds. In Florida, a lawsuit is proceeding against a former Chilean officer in the torture and murder of poet and singer Victor Jara in 1973, after the U.S.-backed coup by Gen. Augusto Pinochet. At the awards ceremony, Bernabeu shared the spotlight with Daryl Atkinson, who received the domestic Letelier-Moffitt Human Rights Award, along with the North Carolina-based Southern Coalition for Social Justice, where he is a senior staff attorney. On a day when the Obama administration announced the release of 6,000 federal inmates to provide relief for people who received harsh sentences for drug offenses in recent decades, Atkinson’s own crusade resonates with a growing reconsideration of how the nation prosecutes and punishes. “We are at a point in our history where the breadth of our criminal justice system is way out of wack,” he said. He cited estimates of 70 million Americans with a criminal record, 2 million in prison, 5 million on parole or probation — accounting for a disproportionate number of the world’s incarcerated people. “American exceptionalism turned on its head,” Atkinson said. He and the coalition are part of the movement to give people coming out of prison a better chance to find work and rejoin society, while at the same time reforming the way justice is meted out. Atkinson got his college and law degrees only after serving 40 months in prison for drug-related offenses. When he got out in 1999, he returned to a loving, solid family that became his launching pad. 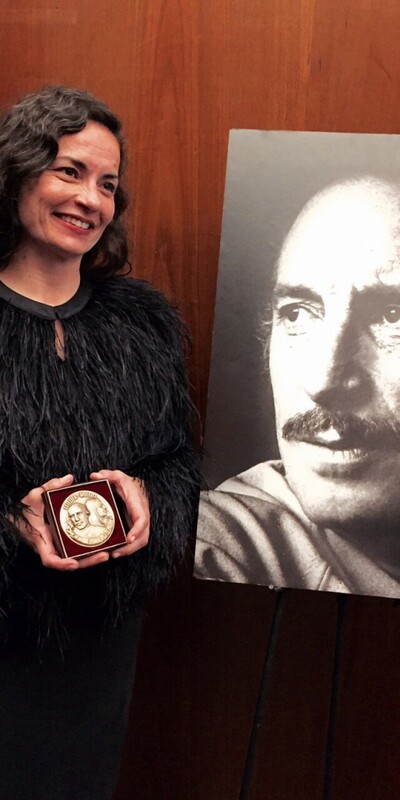 The Institute for Policy Studies, a progressive think tank, bestows the Letlier-Moffitt awards each year in memory of former Chilean diplomat Orlando Letelier and Ronni Karpen Moffitt. They were working at the institute in 1976 when they were killed by a car bomb detonated in Sheridan Circle by agents of Chilean dictator Pinochet. One of those who pleaded guilty in connection with the bombing plot, Armando Fernández Larios, reportedly has been accused by Chilean investigators of involvement in another political assassination in Chile in the mid-1970s. He is living in the United States and could face extradition. Bernabeu is on the hunt. This article was originally written by David Montgomery and published on 7th October 2015 at The Washington Post.